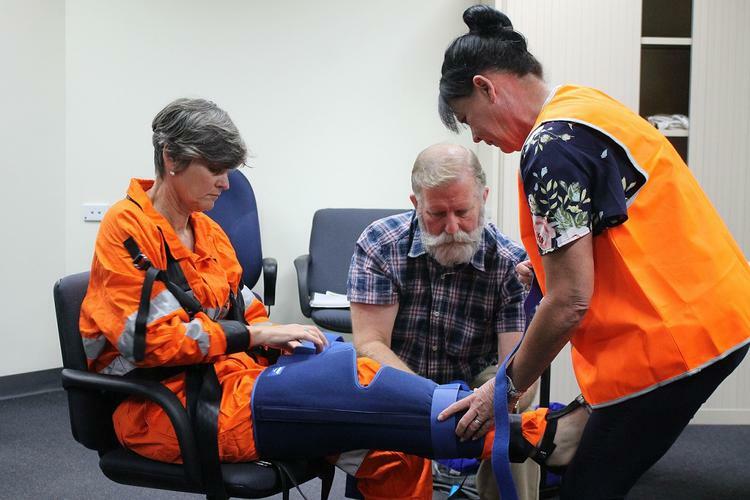 An Adelaide aged care provider will be the first to trial ‘empathy suits’ as part of a staff training pilot program to help simulate the physical challenges faced by older patients and those living with a disability. Not-for-profit organisation ACH Group has purchased three Premature Ageing Unisex Leisure (PAUL) Suits, developed by the University of Sydney’s Department of Rural Health over the past decade for use in aged care settings. “An ageing population worldwide makes it increasingly important that health students understand issues that older people face and can provide empathetic care to them,” he says. The trial will involve ACH Group staff wearing a suit to carry out daily living activities to allow them to experience a range of conditions including vision impairment, hearing loss, a hunched posture, reduced tactile sense and shortened gait. The suit has arm and wrist straps to restrict movement, a leg splint to reduce the range of motion on one side of the body, and weights to create fatigue. ACH Group General Manager People and Culture Nichole Tierney says the pilot project aligns with ACH Group’s service delivery philosophy. “This is about training our staff to appreciate what it feels like, by putting them in the shoes of an older person or a person with disabilities,” she says. Ms Tierney says the project encourages a strength-based approach to supporting a person to live well regardless of their health challenges, not about building pity. “This is in keeping with ACH Group’s person-centred approach, helping staff to build empathy, challenge stereotypes, respect uniqueness and individual identity, raise awareness of potential limitations in the environment and communicate effectively with customers,” she says.